WW2 Book Trailer: How much gasoline to reach Berlin in 1943? I see that BP (British Petroleum) stocks are up in the UK and USA so maybe now is a good time to invest in petrochemicals. Fuel has always been expensive, and more importantly during wartime, heavy. In September 1943, when the heroes of Attack Hitler’s Bunker! were trying a precision bombing attack on Hitler’s Bunker in Berlin, that latest Hawker Hurricane, the MKII, required all of its 97 gallons of high-octane fuel, 34.5 gallons each in wing tanks and 28 in a small tank ahead of the cockpit, to achieve a range of 600 miles. It could carry 2 x 500 lb canisters or bombs but would barely be able to reach Berlin from Norfolk, let alone carry out the attack and return. Drop tanks were not yet available for Allied aircraft and in fact even the German Luftwaffe had limited use for them. 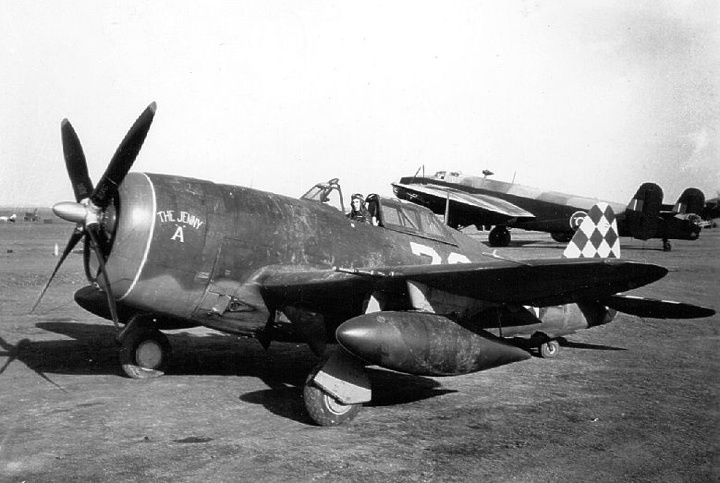 Not until October, did the first P-47 Thunderbolts arrive in the European Theatre of War, equipped with drop tanks. But P-47s were to big to negotiate the streets of Berlin in the sort of precision attack required to hit the Bunker and the attack had to be made in September. Richard Earlgood comes up with an almost unique solution; piggy-backing the Hurricane fighters on 4-engine Short Stirling bombers. I say ‘almost’ unique because Short had achieve the same thing before the War with the Mayo Flying Boat. In this way, the Hurricanes could, in theory, reach Veluwemeer in Holland, a large body of water, which had a strong resistance presence, from Berlin. 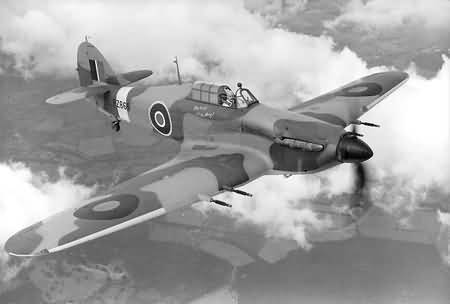 The Stirling could carry roughly the weight of a Hurricane in bombs and, suitably modified, carry a Hurricane on a framework above its fuselage. For the Hurricane, this arrangement would not be unique either. The Hurricat had been a short-lived version of the fighter modified to be launched by catapult from cargo ships in order to defend them against U-boats. This all looks great on paper to the Air Ministry but, in practice, the fully-loaded fighters prove too heavy for the bombers to take off and the Hurricanes cannot manoeuvre or make the distance with the fully loaded canisters. 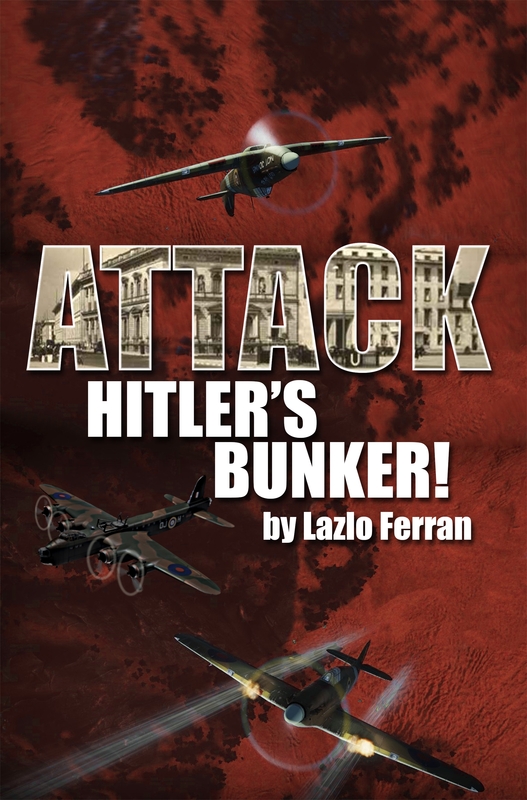 You will have to read Attack Hitler’s Bunker! to find out! Here is the Book Trailer Video. I hope you like it! Please let me have your feedback. How do you get an RAF fighter to Berlin and back in 1943? This week: U-Boat through Straits of Gibraltar Competition Winner and the new competition: How do you get an RAF fighter to Berlin and back in July 1943? Sorry for the hiatus in the last week: first I had a bad cold and then my fridge-freezer broke two days ago! Anyway I’m back. How do you get an RAF fighter to Berlin and back in July 1943? Since my post about getting a U-boat through the Straits of Gibraltar was my most popular yet, here is a similar post. Let me explain the mission: you need a fighter small enough to fly down Unter den Linden (the equivalent of Oxford Street in Berlin), carrying 1000 lb bombs. The fighter needs to be able to negotiate the Brandenburg gate and fly low over the Reich Chancellery garden and still manage to land somewhere far enough from Berlin that the pilot can safely get back to England. There is only one RAF fighter that could do all this in 1943: the Hawker Hurricane II. Here is an image of a Hawker Hurricane II. However the range of the Hurricane II was only 650 miles: that would barely even reach Berlin from Norfolk, let alone get you back. 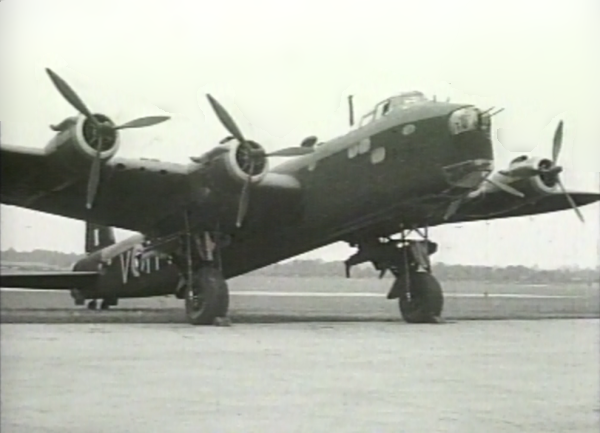 Of course the contemporary British heavy bombers could reach Berlin and the Lancaster and Stirling could each carry at least 10 tons of bombs that far. Shown here is Short Stirling. If you have read my book Attack Hitler’s Bunker! or even read the synopsis you might have a clue how 700 Squadron does this for the daring mission in my book. One possibility would be drop tanks: in 1943 the Germans had already used drop tanks on Stukas and were experimenting with them on Bf 109s. The Americans were also interested and about to introduce a drop tank on the P-47 Thunderbolt. A drop tank is a container attached to the bottom of either each wing or the fuselage which contains 200-500 gallons of fuel. This would extend the P-47 Thunderbolt’s range so that it could reach Berlin. However this wouldn’t actually become operational until September and the British had nothing similar at the time of the mission’s planning; July 1943. 1. Could you remove the guns to save weight? 2. Could you remove anything else to save even more weight? 3. Could you add bigger fuel tanks? 4. Could you use a different type of fuel? 5. Could you use a different type of engine? Shown here is a P-47 Thunderbolt carrying drop tanks. How would you do it? Answers please by posting a comment here. Best answer gets a free eBook of December Radio when it is published this year. 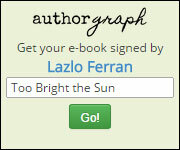 Daniel, the first to comment has won the competition and an Ebook of December Radio when it is published. Well done Daniel. Apologies for the non-appearance of the guest post by Lifelongexplorer. Job commitments took precedence over blogging. Perhaps he will be able to post something soon.